Finally that day has arrived when Motorola Moto Z2 Play is officially launched in India. If you had been awaiting it for so long, then pre-book this smartphone by 14th June from Flipkart. Motorola Moto Z2 Play has made it easier for its prospective buyers to get this beautiful smartphone with its ‘Hello Finance’ payment alternative. Just pay Rs. 2000 for pre-booking the device, and conveniently pay 10 EMIs with zero interest. However, you can avail this offer through Homecredit or Bajaj Finserv. Another way is to swipe your smart card and avail EMIs for 6,9 or even 12 months without interest. This smartphone will be loaded with some catchy offers on Select Moto Mods. It will further introduce Moto Armor Pack to save your gadget from any bump or scratch. Last year on 18th October, we had covered the deep insights of Motorola Z. Read it on and find out what’s similar and not-so-similar in these two models. Reliance Jio users will get 100 GB of additional 4G data, and the ones who will recharge their phones of at least Rs. 309 till 31st March, 2018 will receive 10GB in addition to 4G data. 5.5 inch Motorola Moto Z2 Play is packed with Corning Gorilla Glass 3 protection along with a pixel density of 401 ppi. Further, the device comes in Qualcomm Snapdragon 626 processor clocked at 2.2GH, and is available in two variants: 32GB storage and 64GB storage, and one can increase it to 2TB with micro SD card. A 12MP rear camera and 5MP front camera lets you capture beautiful moments. This masterpiece is based on the exclusive Android 7.1.1 Nougat, and has a durable 3000mAh battery. 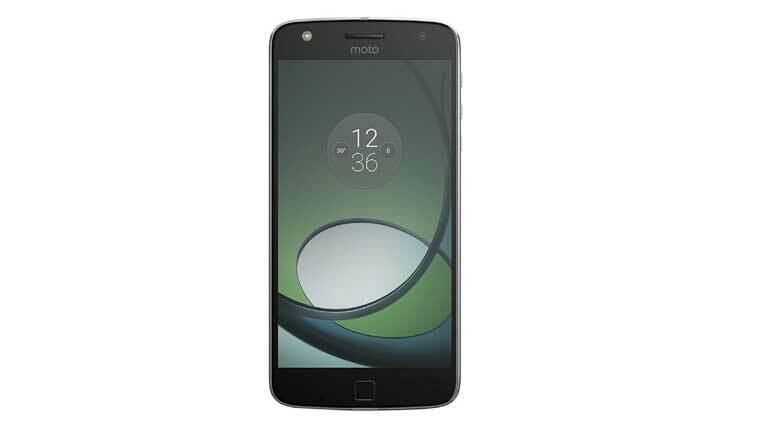 Motorola Moto Z2 Play, compatible with Moto Mods, is believed to be the sleekest smartphone in the gadget industry. Its ‘Night Display’ feature automatically converts your screen temperature to a warmer texture. With its Moto Voice feature, one can launch an app, or know about weather updates without having the need to unlock their phones. Further, it has headphone jack, FM Radio, Bluetooth 4.2 and a lot of special features for its users.